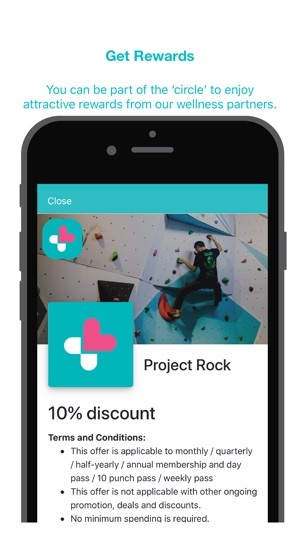 Walnut is a chat-based health and wellness app designed to connect you to your trusted health experts for better management of your lifestyle and health conditions. 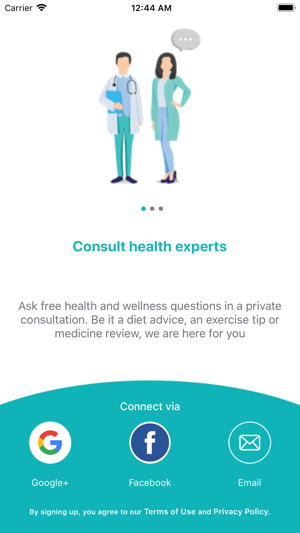 You can now engage our dedicated experts directly in app for continuous advice and guidance, specialising in weight management, home disease management for diabetes, hypertension and high cholesterol. Your trusted experts may also assist you in reminding your daily pill intake and scheduled appointment. 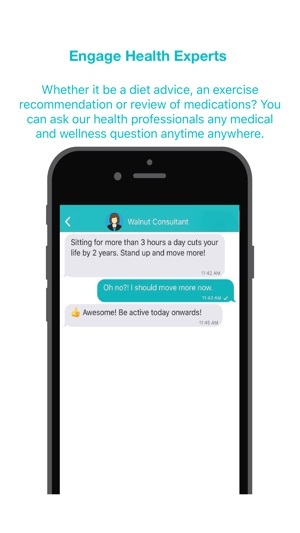 Chat with health experts: Add your trusted health experts as your virtual health coach to guide you in taking care of your health anytime anywhere through our simple chat interface. They will also remind you of your next pill intake and your upcoming appointments. 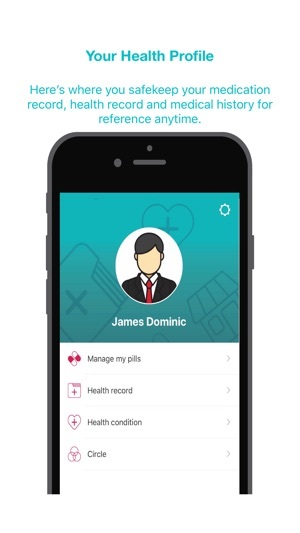 Manage pills: You can add and manage your medicines and supplements all at one place. Unlike any other alarm reminders, our trusted health consultants will remind you on your next pill intake so you will not miss your pills again. 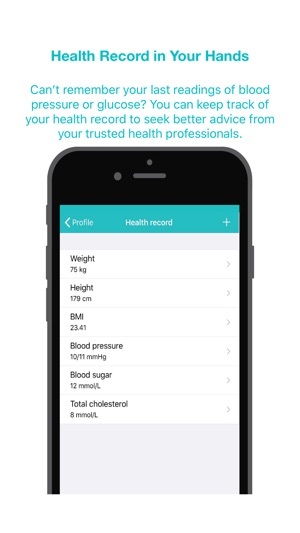 Manage health records: You or your trusted health consultants can keep track of your health parameters and condition all at one place, e.g. weight, blood pressure, blood sugar and cholesterol level. Since the launch of its beta version, I have been using the app. 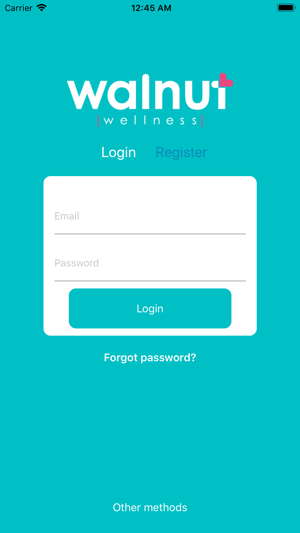 The app at its initial phase has a very simple and intuitive interface, which is to chat with a wellness consultant. 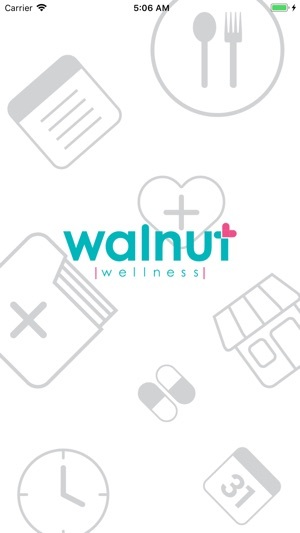 The Walnut Consultant is responsive and professional in addressing general wellness queries. There is also a Health Risk Assessment embedded in the chat to help me understand my lifestyle risks. 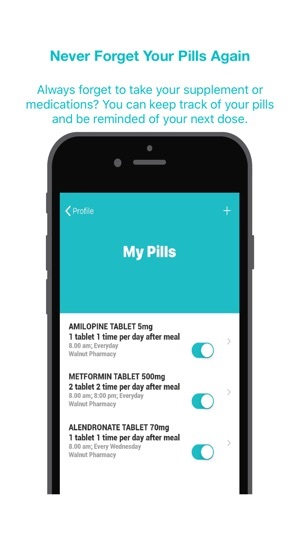 Other features like pill reminders and health record are also useful along the way. Looking forward to more advanced features on this app! Very bad app. Does not work after asking your name. Waste of time. Thank you for your comment. It make us better. The issue you mentioned had been fixed in the latest version.